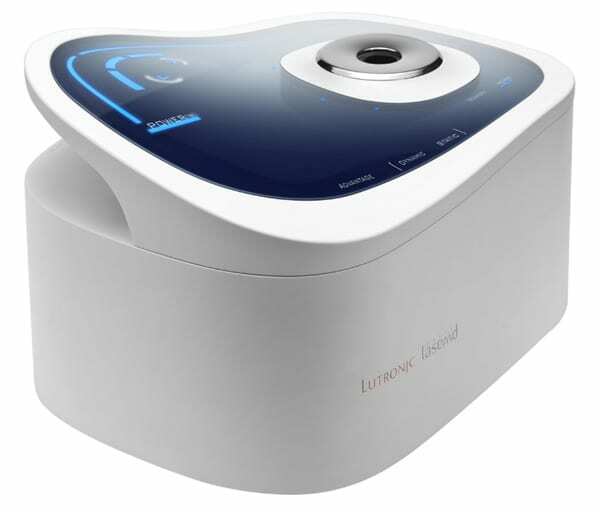 The FDA-approved therapy pioneered by Lutronic® uses targeted heat, not needles that puncture, to treat skin conditions such as sun damage (mild to moderate), age spots, freckles, and actinic keratosis. When you come in for LaseMD treatment in our Beaverton office, the cutting edge 1927 nanometer laser in our treatment room will utilize very small beams to deliver targeted heat under the skin just enough to not break the skin causing it to bleed or cause inflammation. LaseMD’s specialized magnetic tracking system enables fast, consistent treatments by gauging the speed of movement and safely delivering the laser energy. During the procedure, the laser opens up the skin enough to deliver nutrients and microceuticals specifically crafted for each individual treatment and patient. A topical serum made up of Vitamins A, and C as well as Reveratrol and Tranexamic acid is applied after the laser procedure along with a biocellulose cooling mask to re-hydrate the treated skin. LaseMD treatments provide a unique experience for all patients. Customized treatments rebuild healthy skin, pigmented skin, and smooth fine lines and wrinkles. The applications for LaseMD are one of the most diverse and wide ranging, and not limited to small spot treatments. LaseMD is used on the entire face, décolletage, neck, as well as in combination with other treatments to achieve optimal aesthetic results. LaseMD works on all skin types, and is just as popular for men as it is for women. Patients generally will only need one treatment to get results, but multiple sessions can also be effective for longer lasting and more desirable results. How long does a LaseMD treatment last? The results from a LaseMD treatment can last up to 6 months, and for some skin types and cases longer. Keeping in line with keeping your skin healthy, patience should always minimize sun exposure and use protective sunscreen to help maximize results.